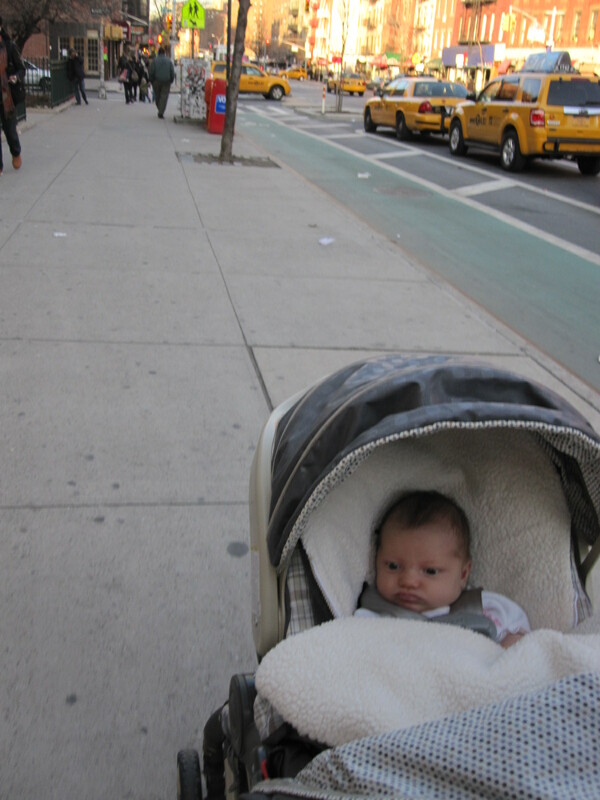 I don’t think she was old enough to really absorb her environment but it was poignant for me to think about how new everything was to her– the air, the sun, cabs, buildings, strangers, the sound of cars honking. 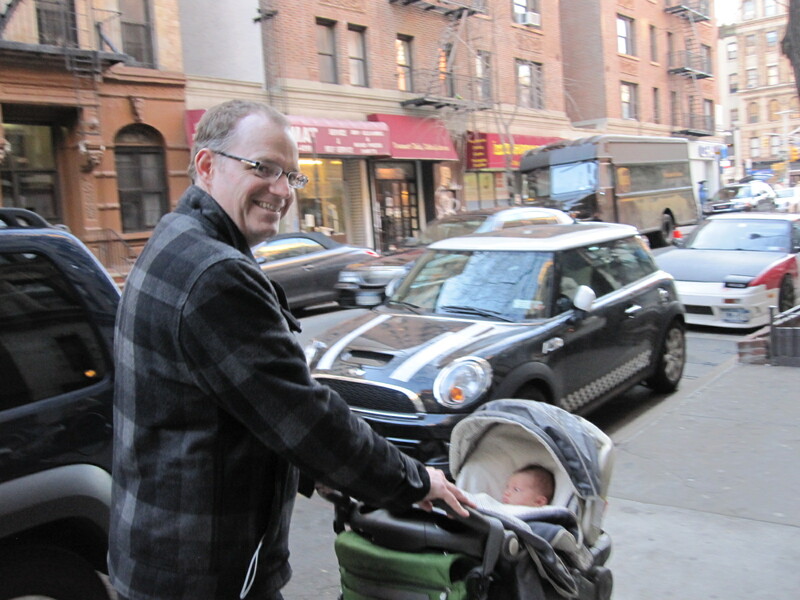 The last time I’d been to the city, I was hugely pregnant waddling around and awaiting her arrival. Now, here she was out in the big wide world. I felt very protective of her, little wide-eyed baby. She has a whole life to experience and it’s pretty amazing to be there for all of her firsts. Here are some pictures of her big journey. She is quite the little hipster. Oh the adventures…. 🙂 Is she already an accomplished graffiti artist? I am impressed! These photos are adorable! 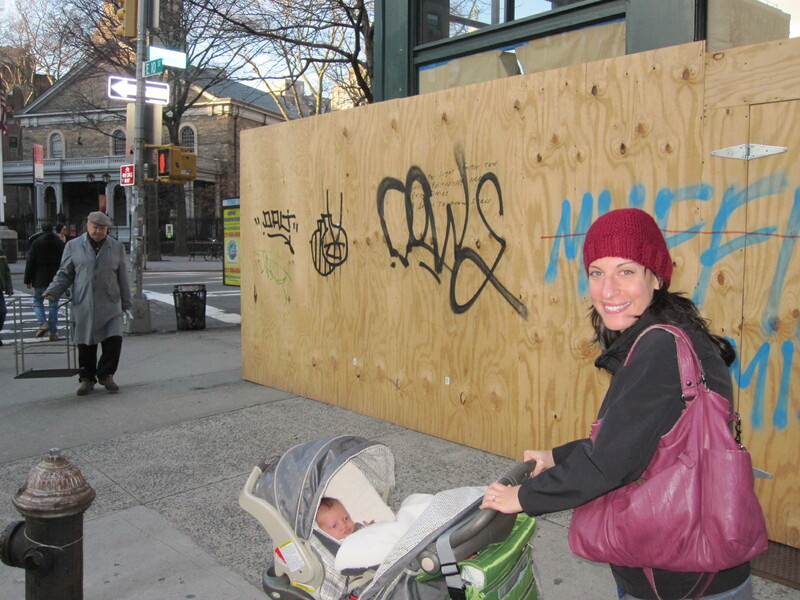 Before we know it, she’ll be all stylish and hailing one of those cabs!